Moonjung Hwang was in residence at Delfina Foundation from 08/01/2019 — 17/02/2019, with the support of SongEun Art Foundation. Delfina Library. Courtesy Moonjung Hwang. Delfina Foundation (DF): Your residency at Delfina Foundation at the beginning of 2019 was not your first residency experience. You have been an artist-in-residence at a number of institutions before where you have developed projects specifically related to the environment and time you have spent there. Could you tell us about some of these previous projects and the approach you took? Moonjung Hwang (MH): Previous to Delfina, the residences I have done have not been based in a city. My practice mainly involves making things and therefore I need a relatively large workspace, so the residencies which provided that tended to have been located outside the city. To me, the outskirts of the city are where the local community and nature are particularly apparent. I stayed in these places and observed the characteristics of the area and was influenced by the lives of people there and the nature. The work that came out of these residencies tended to reflect these stories. 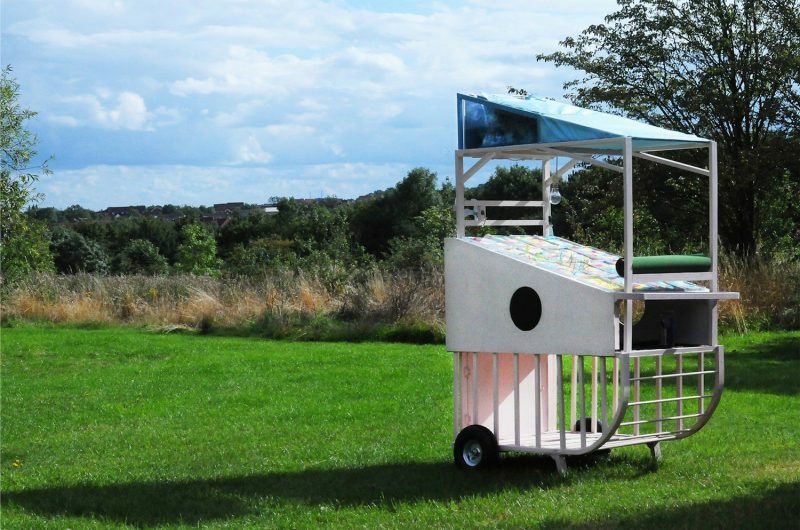 For example, whilst in Milton Keynes I made Multi Production Cart (2015), influenced by the people of the town running small farms. I was a short-lived traveler, but I wanted to build a system to grow vegetables and raise small livestock using the surrounding environment like the residents of the area. Moonjung Hwang, Multi Production Cart, 2015. 122x72x185cm. Wood, paint, wheels, fish tank, solar panel, motors, LED. DF: Could you tell us about the project you began to develop during your residency at Delfina? MH: Delfina was a bit different from other residences I have experienced. It was located in the heart of London, where research, networking and socialising were the focus, not production itself. I met a lot of curators, collectors, and artists from other countries, and I participated in various social activities in the house’s library, studio and kitchen. For a short period of six weeks, I was able to experience other activities in the eco-system of the art world besides that of ‘making’. Out of this came the idea to use the experience of the Delfina residency itself for a work. I photographed different elements of the residency, including the people and the space, centring on the core memories I had in the Delfina community. 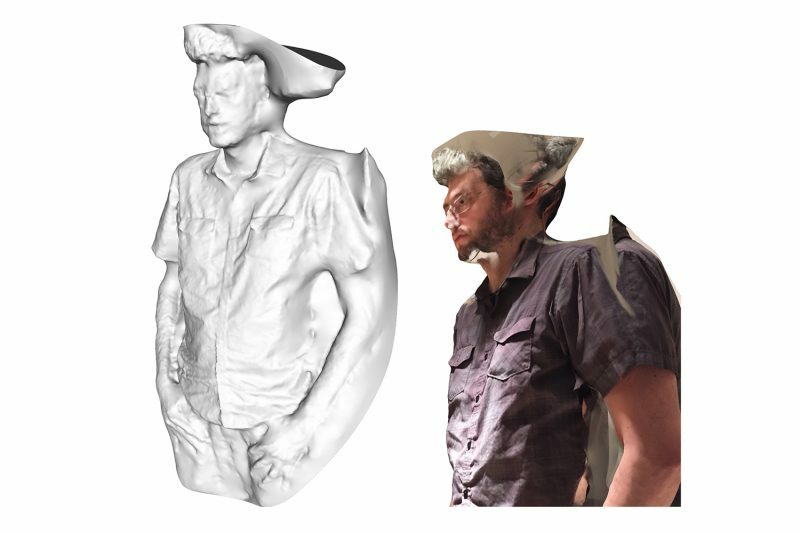 I then exported these pictures as a 3D images through a program called Recap. Delfina resident. Courtesy Moonjung Hwang. DF: What do you plan to do with this project you initiated during your residency? 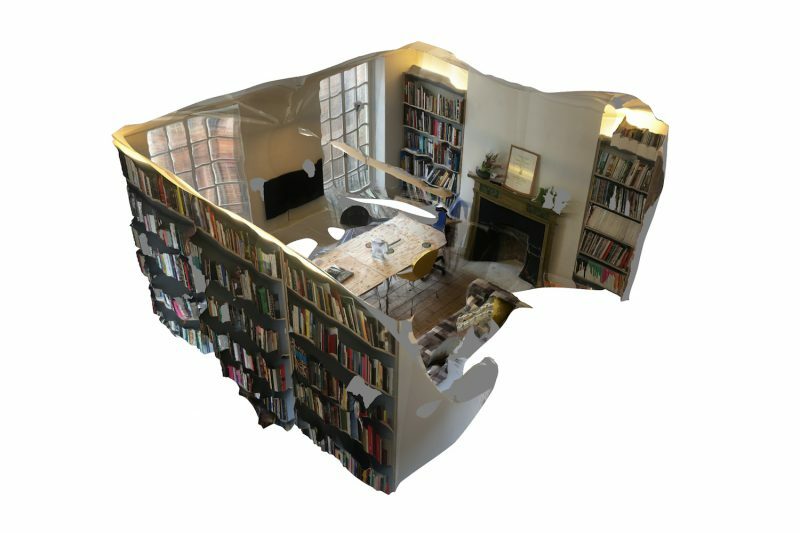 MH: The space and people created in these 3D images were very interesting. 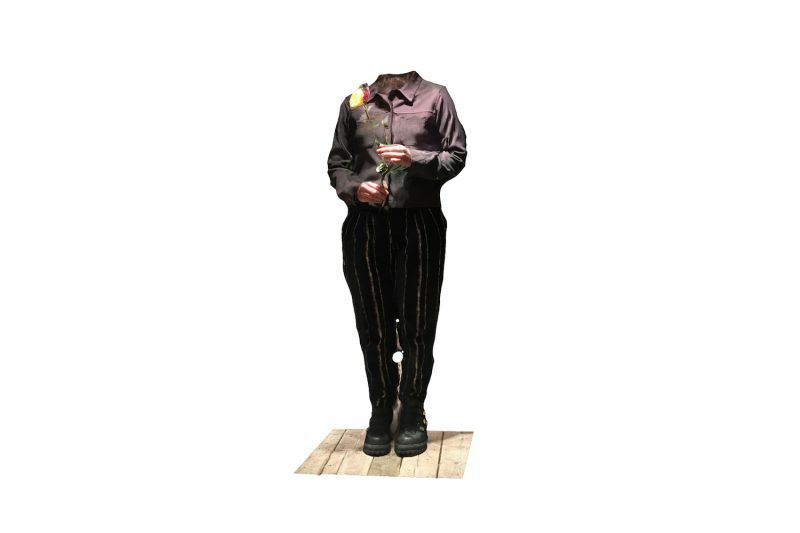 Part of the image, like a person’s memory, was lost or distorted. As I gathered these images, I thought that I would like to transfer my experiences to others, not only by leaving them as data. I therefore intend to make a simulation programme which can provide the so-called ‘Delfina Residency Experience for 6 weeks’. In this, for example, if a player clicks on someone, he or she can arrange a meeting with the curator, or if the player enters a space, they can do research related to their work.